Wish I hadn’t opened the curtains! Looking any better anywhere across the 3V? @orange, OMG - that bad? Yeah it’s prettg dire up here - lifting ever so slightly maybe 30m viz now. Looked at all forecasts and it should improve somewhat. That's one of the issues of being based in VT, no trees to help in poor visibility. Starting to clear in VT, moraine and portette runs in the sunshine! Cloud is stuck in the town. @kitenski, yes no trees definitely a disadvantage - although it feels like lots of runs clear above the cloud around moraine, portette and grand fond. Blue skies!!!! @Handy Turnip, sounds promising, have a good day! Scrap that - managed to do one glorious run in the sunshine on Moraine but we could see the clouds creeping their way back up the mountain. At least we got one perfect run in! I just got lost above the Altiport. Is borderline unskiable. Heading up over Saulire shortly. Will report back. Seems to have closed back in on mottaret too. Can't even see the roof of the restaurant below! Sun out again - I can’t keep up! Which are the easiest blues in val thorens? Clear at village level in VT.
Gentiane is probably the easiest blue in VT.
Moraine’s a lovely blue too. 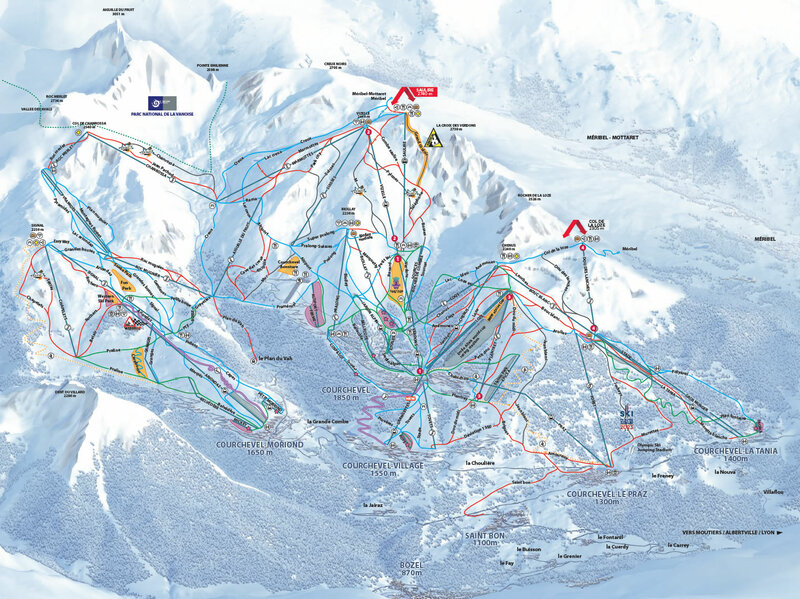 Second the above, Gentiane is one of my fav pistes as a snowboarder as can just practice nice big carvy turns. @polo99, there are some nice blues of the Verdons lift from Courchevel. Are you sure? Wrong lift maybe? I can't think of any blues that you can access from Verdons. Beautiful blue sky for our last day. Heading over to the Meribel valley from VT. We only got as far as the mont vallons runs on Wednesday (Which we loved!) - any other must-dos over there, and given conditions/aspects which order should we go round the valley? The reds descending from Saulire all the way towards Mottaret. Thanks - on the way up to Salire - just saw two marmottes under the pas lift, so kids very happy!